Whether it’s because you’re tight for time or simply because you’d like to prioritise the sights that for you are the most important, we’ve created this section in which you’ll find all the places that we think are essential to visit for whatever reason. With this in mind, this takes the form of a Top 10 list, in which we’ve included the sights and places that no good tourist should miss out on, on their first visit to Barcelona. It has been very hard to narrow it down to just 10 essential sights in the city, because there is of course an infinity of possibilities, and depending on your interests each sight will be more or less of a priority. You will have already heard about many of these sights and activities before you visit Barcelona so they will naturally be on your list, but it’s very likely that some won’t be so familiar to you, and some of the things on our list might surprise you. 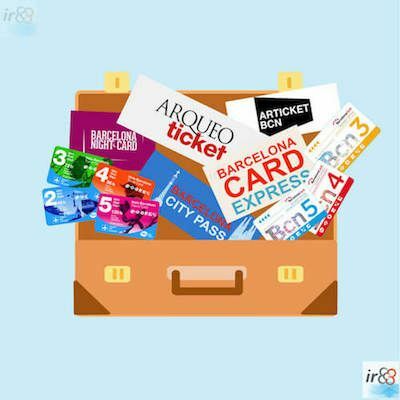 However, we think they are essential in order to get to know our wonderful city of Barcelona. We’ve tried to make our Top 10 as varied as possible, so it includes everything from historical buildings and monuments to a wonderful viewpoint, a park and a church, as well as various walks through the city. One of the most emblematic works of the genius architect Antoni Gaudí, Park Güell is one of the favourite sites of millions of tourists who visit us. Its famous Salamander, photographed by everyone who visits the park, the Hypostyle Room (la Sala Hipóstila), the 100 Columns, and the magnificent views from the top of the Turó de les Tres Creus and from the Virolai viewpoint are just a few of its charms. An incredibly important work, and perhaps that which best represents Antoni Gaudí’s understanding of architecture, the Expiatory Temple of La Sagrada Familia is without doubt one of the city’s icons. As well as being able to admire its ornate forms from outside, it’s also possible to go inside, to see the interior of its crypt and to wonder at the views that you can see from one of its towers. The two most important and well-known buildings designed by Antoni Gaudí are a must-see for any tourist who is visiting the city for the first time. They are some of the greatest examples of Catalan modernism, and the spectacular nature of their façades is mirrored in the interior of both buildings. Although this is still one of the least-known sights included in this list, in spite of its distance from the heart of the city centre, it’s gradually becoming one of the most frequented viewpoints. From the top you can see some really impressive views, which some people consider to be the best in Barcelona. When it comes to moving around Barcelona to visit some of the most important and almost essential places of the city, the help of a local expert can be very useful. The expert will make a tailored trip plan for you, considering not only your interests and the type of traveler you are, but also the places of tourist, cultural, leisure and gastronomic interest, etc of Barcelona for which you are going to move. It is a simple, easy, economical and tremendously practical way to have your trip made to measure. Few people will argue that this is the best known street in Barcelona, with the most tourists walking along it, in their thousands. Its 2km in length, packed with small shops, flower stalls and its famous street artists links the Plaça de Catalunya with the Port Vell (the Old Port) and leads everyone who walks along it to some of the most well known sites of the city, such as the La Boquería Market and the Christopher Columbus statue. In addition to the Gothic Quarter, the quarter of Sant Pere, Santa Caterina i la Ribera, and specifically El Born, is one of the most charming areas of Barcelona. We think that the fact that it’s easy to lose yourselves in its narrow and maze-like streets is one of its biggest charms. Its buildings and streets that date back several centuries, as is the case with Carrer Montcada, are just full of history. And to contrast with this, you can also see all sorts of more modern buildings dotted around the district, highlights of which include the clothes shops and bars and restaurants of different styles. It’s an area in which culture and architecture are both of great importance; within it you’ll see the Basílica de Santa María del Mar, the Picasso Museum, the European Museum of Modern Art, the Chocolate Museum, the Mammoth Museum and the Born Centre Cultural, the vast majority of which are housed in historical buildings. Within the Born district, one of the most important and visited museums deserves a special mention, the Picasso Museum. It’s housed in 5 historic buildings from the 13th, 14th and 15th centuries, which have been joined together for the purpose of the museum, on Carrer Montcada. Within the magnificent collection of over 3800 works, the collection of Picasso’s early period stands out, as it’s the biggest and most important of the museum. In spite of the fact that it’s not quite as ‘gothic’ as it might seem, the streets of Barcelona’s Gothic Quarter are some of the best places to wander round. We know it’s not a ‘sight’ as such, but rather a group of buildings, which individually might not necessarily be worth a visit, but as a group they certainly are. Whilst walking through the narrow streets, where you’ll feel the sensation of having gone back in time to the Middle Ages, you’ll be able to appreciate the majestic silhouette of the Catedral de la Santa Creu i de Santa Eulàlia, the charming Plaça de Sant Felip Neri, the historical Plaça del Rei, the city’s old synagogue and the Plaça de Sant Jaume, where you’ll see the City Hall and the Palau de la Generalitat de Catalunya. Once you’ve walked through many of Barcelona’s streets you’re likely to already have become captivated by the city, but it’s the point at which you wander through the Port Vell (Old Port) and the Passeig Marítim (the Promenade) that you’ll really realise that you’ve fallen in love with it. In the Old Port, one of the most visited areas of the city as it’s so close to La Rambla, you’ll be able to smell the sea, see the boats moored in the harbour, go on a boat trip in one of the Golondrinas, be impressed by the image of the Gamba de Mariscal, and, of course, soak up all the special feelings this wonderful area of Barcelona transmits to everyone who passes through it. Along the Promenade you’ll be able to see all ten beaches the city has to offer, whilst walking through some of its most authentic districts, such as La Barceloneta and El Poblenou, as well as taking in the architecture of the modern buildings of the 22@ zone. Thanks to the International Exposition of 1929 Barcelona re-discovered Montjuïc Mountain, because it was the chosen site for the celebration of this event. This brought with it the urbanisation of the mountain itself and its surrounding areas, when buildings were constructed that have turned into emblematic or even iconic buildings of the city over time. Nowadays Montjuïc Mountain’s offer available to tourists covers everything: cultural (with the Teatre Lliure and Poble Espanyol), historical (Montjuïc Castle), museums (the MNAC, the Joan Miró Foundation and the Archaeological Museum), leisure (the Montjuïc Cable Car, Aeri del Port and the Magic Fountain), architecture (Palauet Albéniz), sport (Palau Sant Jordi, the Picornell swimming pools, the Olympic Stadium) and scenery (the Laribal Gardens, the Greek Theatre Gardens, the Joan Maragall Gardens, the Miramar viewpoint and the Migdia viewpoint amongst many others). If you want to take a tour of the most important areas of Barcelona and with an official tour guide of Barcelona and Catalonia who can explain the history of the place and interesting facts, please contact us. Or, equally if you want to take a guided visit inside one of the historical buildings or museums. 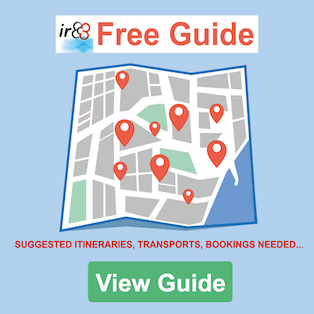 At irBarcelona we are partners with some of the leading companies in the sector working with the best guides, which means you get to know our city better and add something special to your trip. To book a tour or guided visit or to get more information, please don’t hesitate to contact us. What other sights in Barcelona should I not miss out on? We are mindful of the fact that we’re trying to cater for various tastes, and not everyone is always in agreement, especially when it comes to listing the 10 unmissable sights of Barcelona. We therefore wanted to create a second list, in which we’ve added other places that you shouldn’t miss out on wherever possible.